David Brewster was a Scottish physicist and elder of the Free Church who discovered Brewster's law in optics (see below) and did much to popularize science in nineteenth-century Britain. 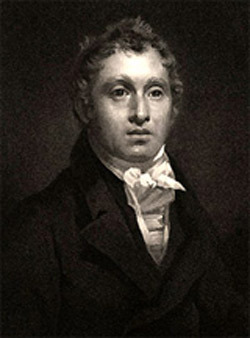 Brewster (K.H., D.C.L., F.R.S., V.P.R.S., Edin., and Associate of the Institute of France) taught at St. Leonard's College, St. Andrews. Brewster's law states that the maximum polarization of a ray of light reflected from a transparent surface occurs when the reflected and refracted rays are at right angles. 1. Brewster, David. More Worlds Than One: The Creed of the Philosopher and the Hope of the Christian. New York: Robert Carter and Brothers (1854).